BUY LOCAL – How long have we been saying it? Amid calls for consumers in the British Virgin Islands to buy local goods and services now more than ever due to international developments, business operators at the territory’s premier trade expo yesterday called for consumers to be granted certain incentives as a means of encouraging local spending. “It’s a relationship between a business and a consumer, so there must be something in it for the consumer to buy local and for the business to continue to continue in business – because it comes as a great expense and sacrifice,” added O’Neal. She also expressed gratitude for the opportunity provided by organizers of the BVI Trade Expo, which has been running for decades. “The Buy BVI Trade Show is a fantastic initiative by the Chamber [of Commerce] year by year for exhibitors to exhibit their products and services on offer. I think it’s growing from strength to strength. 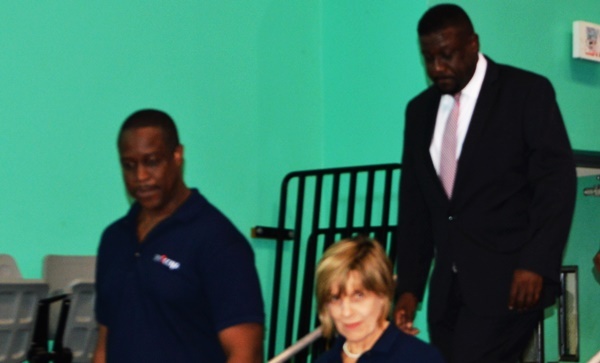 I for one am very proud to be a part of it and being able to connect with the public in this way on this platform,” O’Neal further said yesterday (April 29) at the launch of the two-day trade expo underway at the Multi-Purpose Sports Complex in Road Town. Chairman of the trade expo and President of the BVI Chamber of Commerce and Hotel Association (BVI-CCHA), Troy Christopher, in the meantime, noted that the appeal for residents to buy local is nothing new. But he stated that buying into the appeal has taken on additional importance internationally – not only in the BVI. “As much as we continue to trade internationally and continue to be global, it has to work for everyone. And I am sure that the relationship that we have with each other – businesses, consumers, Government; that relationship continues to be strong; and it needs to be strong for us to continue to survive here in the Virgin Islands,” added Christopher. He also noted that business operators should be creative and offer their best in the market. “The consumer is depending on you; they are depending on you for good service and for good products. 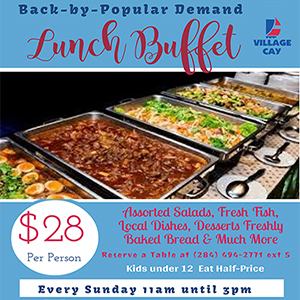 And we are hoping that, as we continue this relationship, everyone does their part – including some of the policy changes that the Chairman [of the BVICCHA] has asked for to continue to support local businesses,” Christopher further said.